RadarONE for Factoring is a full-featured portfolio management software for invoice financing. It offers rich functionality to streamline the management and analysis of clients, debtors and invoices. Deployed as a cloud solution, factors can get up and running quickly with a secure, white labeled Web system for unlimited clients and internal staff. 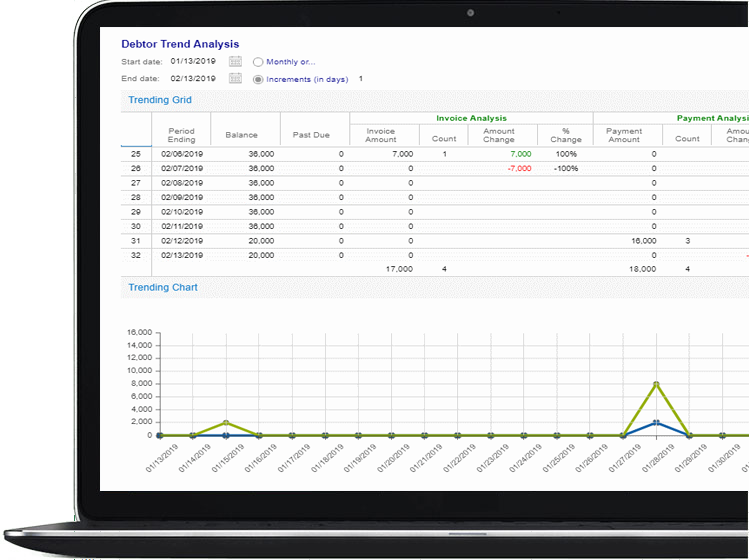 Through an interactive dashboard, track collection and debtor verification activity, process single and batch cash payment with reserves, advance funds with debtor or invoice holds, and review trending reports for debtors and clients. Factors’ clients can submit invoices online and access their data real-time to review status of submitted invoices and account details 24 by 7. Benefit from a secure Web solution with centralized data management and backup with a built-in tickers and notification system – all available under your brand without the headaches of maintaining software.